A Handman Can...offers you a wide range of home, garden & general maintenance & repairs, in Burton, Derby & surrounding areas. 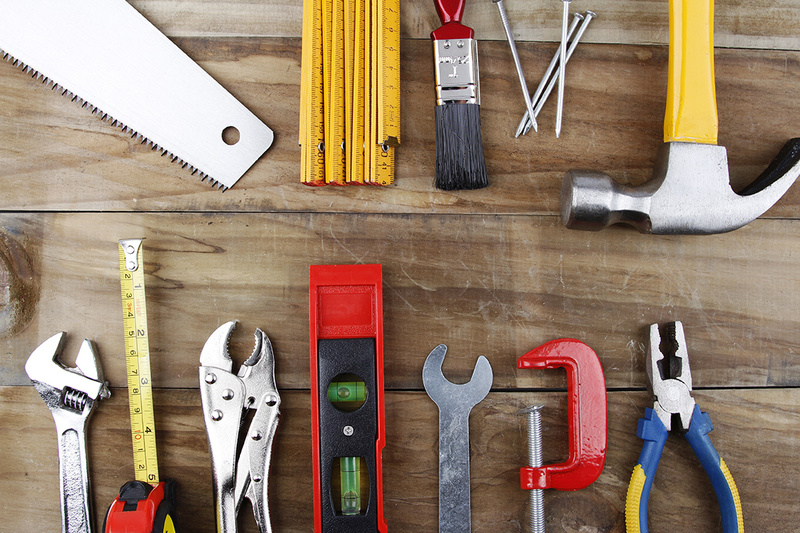 A wide range of general maintenance and home improvements in Burton, Derby, Lichfield & surrounding areas. With 30 years of experience across a wide range of trades, A Handman Can Ltd assures you a professional, right first time, prompt, courteous & efficient service, with no mess or fuss. I have a superb reputation with over 150 extensive verifiable independent customer online reviews. Domestic, Landlord & Commercial Clients all welcome. For your safety, security & peace of mind A Handyman Can Ltd carries £2M Public Liability Insurance. Plastering/skimming, groundworks including slab laying, shed bases or installation of fence posts, roofing or any other working at height beyond first floor window level, Part P notifiable electrical work, plumbing, carpet/lino/sheet vinyl laying, removals, or the disposal of any kind of waste materials. Whilst I occasionally do some minor painting/decorating works, I do not take on larger decorating projects. I generally do not take on works commenced and uncompleted by other tradesmen. Jules arrived on time, assessed the door and its particular problems, made a couple of recommendations to enhance the works and completed the task in good time, with no mess whatsoever. In my opinion Jules is a true professional with a can do approach and a desire to undertake the works to the highest standard with customer care and quality at the forefront. I am a Project Manager on various sized construction projects and would have Jules on any of my sites without question. Jules is the best Handy man that I ever used. His work is first class and what is very unusual in the industry his customer service is world class. Jules created a sub floor with flooring and skirting and a wardrobe space for us with sliding doors. The doors were purchased from Ikea and had to be fitted into a bespoke space which involved a level of creativity. I admit I'm very fussy and overall I'm more than pleased with the work that has been completed. Jules was charging a day rate but managed his time effectively to complete the work within the agreed time frame which was appreciated and he come across as very conscientious. Wow what a worker!! Jules changed all my internal doors. He was polite and friendly and worked non-stop. Excellent clean job and I would recommend him highly with no hesitation. So nice to have a workman in your home that you can trust to do a good job. I will be using him again in the future. First class service from registering the work to completion. Excellent job completed very efficiently, promptly, with no mess and at a very reasonable price. Would definitely use A Handyman Can again and recommend to others. Jules was an absolute pleasure to deal with. Needed 3x Doors and Door furniture fitting in my 1930s Semi. Jules' quote was great and he was very flexible on when he could do the work. He arrived on time, and got to work straight away, work was completed quicker than expected, and to a great standard. Will definitely be keeping Jules in mind for any more work I need on the house. I would absolutely recommend Jules Evans. He was reliable from the start of the process to the completion of the job and honest too as I just let him get on with the job alone in our house. Quality of work was excellent and very competitive price. Thank you Jules we will definitely hire you again! 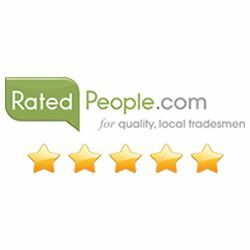 "Very highly recommended, lovely pleasant professional guy, managed to fit us in very quickly from quote to job done. He was on time, provided a high standard of work, very good value for money, very clean & tidy, even did a little extra & moved our doorstop! (thank you we didn't notice till after you had gone) already got our next job lined up for him, wouldn't hire anyone else to do jobs for use' now. Thank you "
"Jules was very good at our nursery. He did all the jobs required and some extra that needed doing. We will definitely hire him again. Thanks"
"Extremely professional from beginning to end. Prompt arrival and worked non stop for 5 hours. Quality of work great. Will definitely use again"
"Completed loads of different jobs from flat pack furniture, light fitting, erecting blinds, curtain rails, mirror hanging etc. Highly recommended so much so Jules is coming back to carry extra jobs for me. What Jules did in one day would have taken me several weekends! Don't hesitate to book him Thank you very much Jules "
Jules was absolutely great - he arrived when he said he would, he told us what was needed without fuss and was a real gent. His charges were fair, he kept us informed throughout the process and managed to do the job quicker than we'd expected. Would wholeheartedly recommend Jules - and in fact we'll be using him again very soon I'm sure. A solid 10/10 from us! I needed this job doing quickly and properly, and Jules did just that. He explained the job step by step and excecuted it professionally. Im very pleased with the outcome and would recommend him to anyone who wants the job doing right first time. What can I say. Jules was absolutely brilliant. I posted the job and within 24 hours he came round and completed the job and also fixed a light switch for me. I would highly recommend Jules and would not hesitate to use him again. Thank you Jules. Jules came today to fit/hang an interior door and I couldn't of asked for a more professional job to be done to say we are pleased is an understatement.